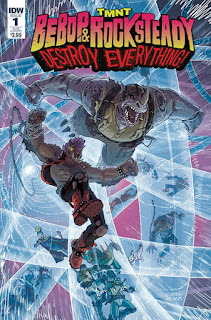 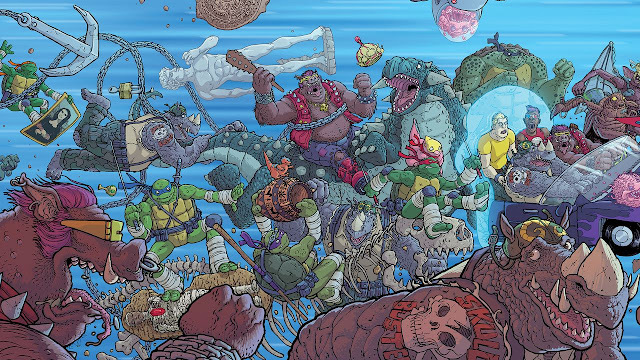 Via AV Club, IDW has announced their latest TMNT side-story mini-series, "Bebop & Rocksteady Destroy Everything." 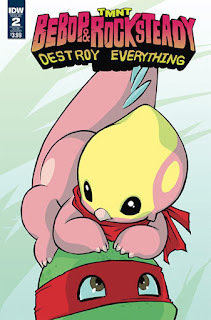 This weekly, five-issue mini-series will feature a story by Ben Bates and Dustin Weaver, and a rotating list of artists on each issue (#1: Ben Bates, #2: Sophie Campbell and Giannis Milonogiannis, #3: Damian Couceiro, #4: Nick Pitarra, #5: Ryan Browne). After their defeat in TMNT #50, the dull-witted Bebop and Rocksteady, everyone’s favorite warthog and rhino mutants, are feeling dejected and without purpose. 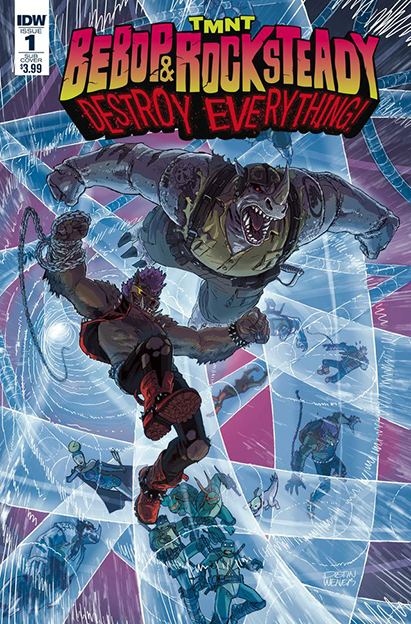 However, when they stumble across a time-travel scepter, they realize that their craziest, most destructive adventure awaits! 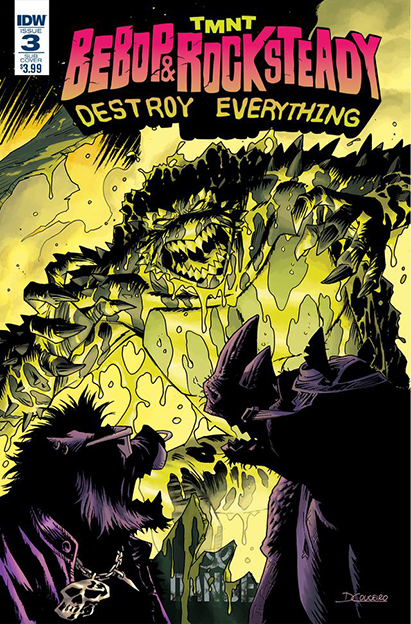 Will the universe survive? It's bound to be a wild ride! 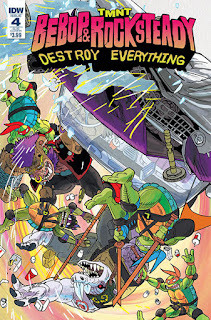 Check it out at your local comic book store in June! TMNT 2012, Episode 4.09 "The Cosmic Ocean"